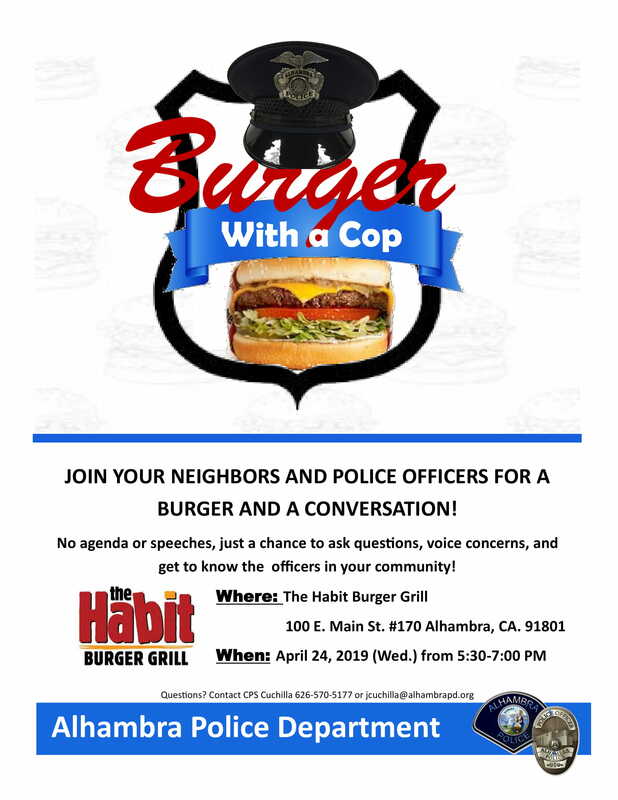 Join your neighbors and police officers for a burger and a conversation! This event allows the police and community members to come together in an informal, neutral space to discuss community issues, build relationships, and enjoy a burger while allowing one-on-one interactions in a friendly atmosphere. Any additional questions, please contact Crime Prevention Specialist Cuchilla at 626-570-5177 or jcuchilla@alhambrapd.org.